Posted on 30, November 2018 by EuropaWire PR Editors | This entry was posted in France, Marketing, Media, Sports, Switzerland and tagged AI, Brest, content, digital services, EHF, EHF EURO 2018, EHFEURO2018, European Handball Federation, handball, Infront, Julien Ternisien, Martin Hausleitner, Montbéliard, Nancy, Nantes, REACH, videos. Bookmark the permalink. ZUG, 30-Nov-2018 — /EuropaWire/ — At the Women’s EHF EURO 2018 in France from 29 November – 16 December, Infront – as the exclusive media and marketing partner of the EHF EURO events – will work with the European Handball Federation (EHF) to raise the bar in terms of digital services delivered. The 2018 edition includes a number of digital activations designed to increase reach and awareness of the tournament, bringing handball fans closer to the action. This year’s competition will welcome 16 teams competing across 17 days of action and supporters not lucky enough to be able to attend games across the five host cities of Brest, Montbéliard, Nancy, Nantes and Paris can still experience the action online. For the first time the EHF will be able to instantly generate and distribute professionally edited videos on a large scale using artificial intelligence with the introduction of start-up WSC Sports. This content, along with short-form and behind-the-scenes videos, will also be shared with the new EHF influencer network, expanding the reach beyond EHF’s owned channels. It is not the first time Infront has worked alongside WSC, with this year’s IIHF Ice Hockey World Championship just one example of the two organisations’ collaboration. On that occasion, over 5,000 videos were created across the whole tournament reaching a total of over 80m viewers. The impact of the content produced during the Women’s EHF EURO 2018 will be measured by Athletia. They will analyse cross-platform reach, sponsor visibility and media value for both images and video, providing effective rights management across social platforms. Fans will be able to keep up with the action on the move via the official website (ehf-euro.com) and also with the new Women’s EHF EURO 2018 app. It includes all key information about the tournament, access to live scores, match action and multiple fan engagement tools. The result of these initiatives means Infront and the EHF have together built an enhanced digital strategy to increase reach and awareness for the tournament. Broadcast agreements have been secured with over 65 broadcasters with TV distribution into over 135 countries guaranteed. Key markets include: Norway, Sweden and Finland through Nentgroup, France through beIN Sports, Germany through sportdeutschland and Eurosport, Austria through ORF and Denmark through TV2 and TV3. TF1 will also show the final weekend’s matches regardless of French participation on free-to-air. 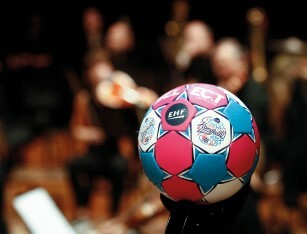 For a full list of broadcasters visit the EHF website. The EHF’s own OTT platform ehfTV.com will also show every match live and on-demand with full English commentary. The increase in reach through traditional and digital media will bring even more exposure to the EHF Women’s EURO 2018’s partners. For the first time at a Women’s EHF EURO, LED boards will be available behind each goal, offering a new and dynamic opportunity for sponsors to reach handball fans around the world. The Official Sponsor line-up includes: engelbert strauss (functional work-wear manufacturer), Gjensidige (insurance group), Grundfos (leading pump manufacturer), Intersport (sporting goods retailer), REMA1000 (supermarket chain) and Unibet (online gambling operator).